“The game is over,” said Spanish lawmaker Esteban González Pons during a press briefing at the European Parliament in Strasbourg. “They have to decide – it is in or out,” the vice president of the European People’s Party (EPP), the largest political group in the EU assembly, added. “We still don’t know what the British politicians want. We know what they don’t want. They are able to vote against everything. We don’t know yet what would they vote yes for,” González Pons said. “It is not for us to decide,” added Philippe Lamberts, a Green MEP from Belgium, as he walked out of a Brexit steering committee meeting in Strasbourg on Tuesday (26 March) evening. “You know the calendar. On 12 April they have to come with a plan and if they don’t, then it is a no-deal Brexit,” Lamberts said. However, any new Brexit strategy in the UK has to come with a majority that can back it, he warned. For Guy Verhofstadt, the president of the Parliament’s Brexit steering committee, the vote in the House of Commons to take control of the Brexit negotiation was good news. There is a “Brexit revolt” happening, the liberal group leader said in reference to the march for a second referendum which mobilised one million people on Saturday, and the online petition to revoke Article 50 which has now registered over 5 million signatures. Monday’s vote in the House of Commons “means it is possible to work on a cross-party alliance” in the British parliament – not to change the withdrawal agreement “but to upgrade significantly the political declaration” attached to it, Verhofstadt said. Asked how long such a process would take, Lamberts said it could be done overnight. “May must not waste any more time. Instead she should work with Labour for a closer EU-UK relationship, or put the question back to the British people,” Socialist and Democrats leader Udo Bullman told EURACTIV in a recent interview. Whether British MPs can agree on an alternative proposal remains to be seen, however. And even if the House of Commons comes up with a plan, it would have to be backed by the British government. “We are not talking to Westminster, we are talking to 10 Downing Street,” Philippe Lamberts reminded. “If 10 Downing Street does not reflect the majority of the parliament, what can we do? We cannot force the hand of the British government,” he said. Gabriele Zimmer, a leftist MEP who also sits on the Parliament’s Brexit committee, believes it is impossible for Theresa May to get a majority for the withdrawal agreement by the end of the week, as requested by EU leaders. “We are waiting for a decision of a majority of the British MPs so that we know what they want and can react to that decision,” Zimmer said. “Frankly, it is not us who have been holding up the process,” Zimmer pointed out. “Don’t expect the solution to come from this side of the channel. It will come from Westminster or it will not come at all,” Lamberts agreed. 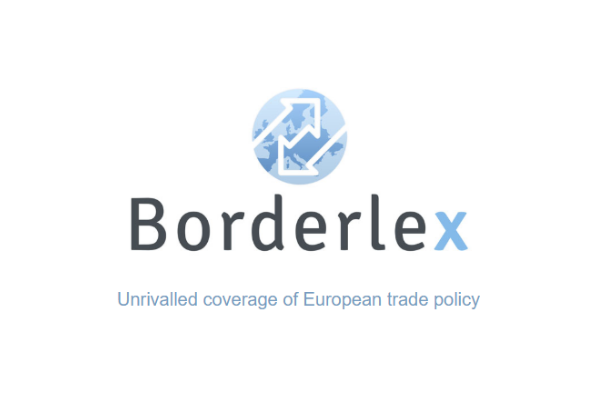 The Brexit steering committee met on Tuesday (26 March) to discuss with European Commission chief negotiator Michel Barnier the state of play of the negotiation. 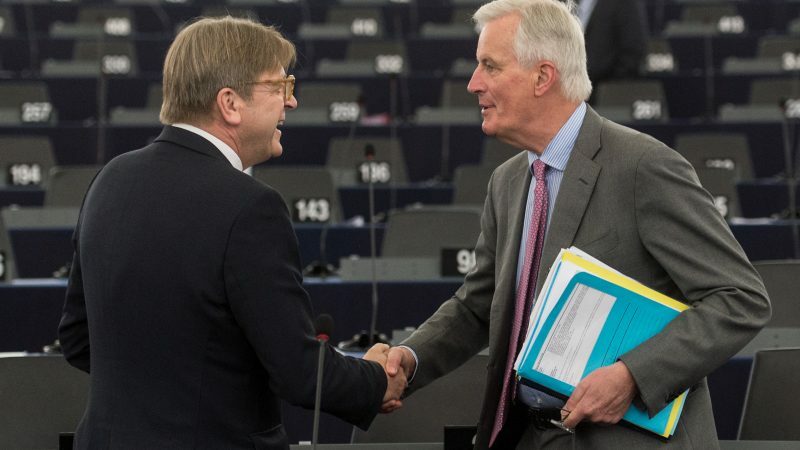 A source close to the committee told EURACTIV Barnier admitted his impression was member states believed more than ever in a potential no-deal. After the meeting, Verhosftadt met Commission President Jean-Claude Juncker with whom, among other things, he discussed Brexit preparedness. EU heads of state decided on Thursday (21 March) to grant an extension for the Brexit negotiation in two stages. If the House of Commons backs the withdrawal agreement in a third vote this week, the UK would have until 22 May to adopt the legislation required to implement the deal. Failing that, the government would have until 12 April to decide on an alternative plan. If their decision is to further extend article 50 negotiations, the UK would have to hold European elections in May. 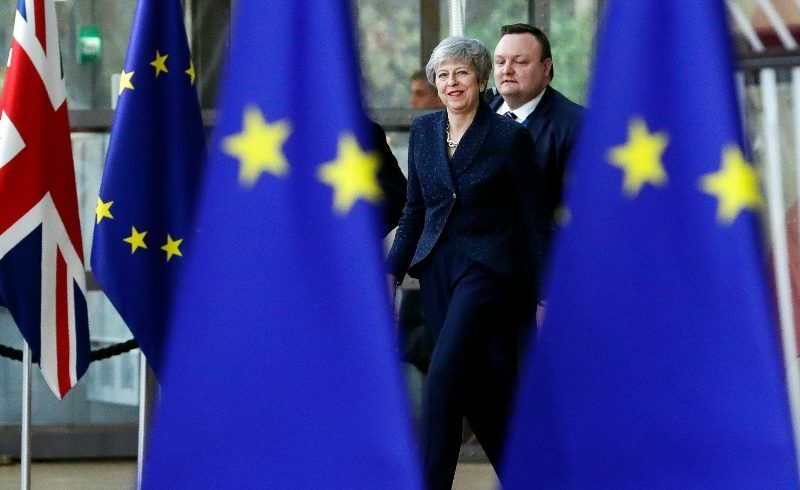 A majority of parliamentarians voted a proposal to take back control of the Brexit talks on Monday after Theresa May admitted she does not have a majority behind her deal and refused to put it to a vote. 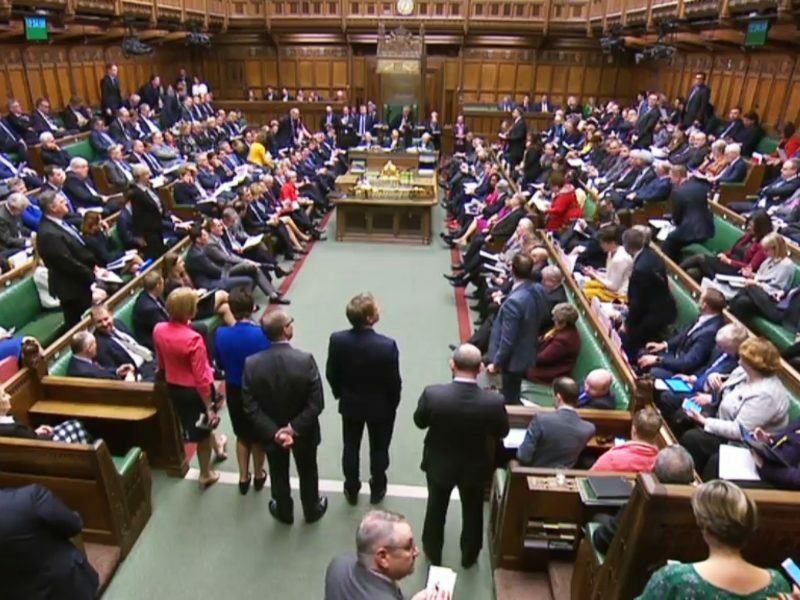 On Wednesday (27 March), the House of Commons will start holding indicative votes on alternative Brexit plans in a bid to find a plan that could get a majority in the House. How can our Parliament back an ‘alternative Brexit’ or come back with a different plan when the Commission won’t open the agreement?? We already had a vote in Parliament which had a majority for an altered backstop agreement, but the EU wouldn’t do it! Finally, the perfect time has come for the PM to ask the Commons for either her deal or a new referendum (on her deal or bremain).